Our three values of Fairness, Achievement and Respect underpin all we do at Goodwood Primary. 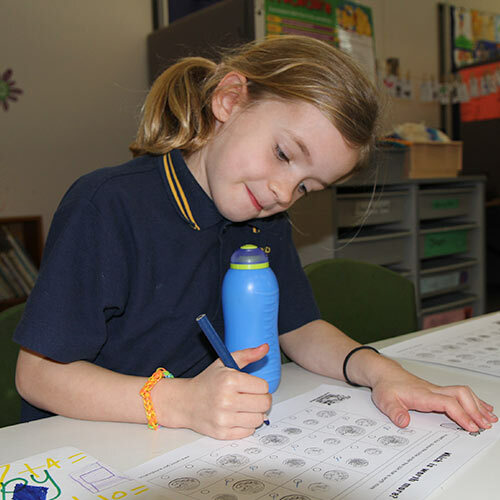 To support our social and learning behaviours we use Program Achieve to support all students in the development of these skills: Getting Along, Persistence, Organisation, Resilience and Confidence. We believe student wellbeing is a basic right, that bullying is wrong and it is not wanted, not asked for and has no place in our school. We all have the right to work, learn and play in a safe and secure environment. Restorative Justice approaches are used to work through concerns or issues. Restorative processes create opportunities for those involved to work together to understand, clarify, repair and restore relationships and work towards a resolution. The strategy develops positive behaviours and responsibility. It develops a deeper understanding of the impact of wrong doing on both people and relationships. Encouraging the participation in agreements with regards to future behaviours and the carrying through of these. Encouraging behaviours desired by the school community/values. Supporting and acknowledging success with effective relationships.